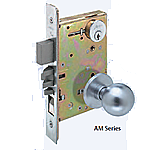 Arrow’s H Series cylindrical knob locks have been engineered for years of dependable operation. 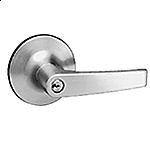 Arrow offers a variety of locks functions and styles to suite your needs and taste. Latchbolt operated by knob from either side except when both knobs are locked by key from either side. Cold rolled steel with zinc dichromate finish for corrosion resistance. Latch retractor is precision cast steel. 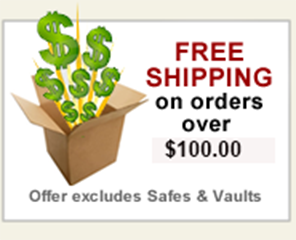 Requires standard 2-1/8" (53.97 mm) bore through door. Brass with 1/2" (12.7 mm) throw. ANSI A115.2, 4-7/8" (123.82 mm) x 1-1/4" (31.75 mm) curved lip standard.